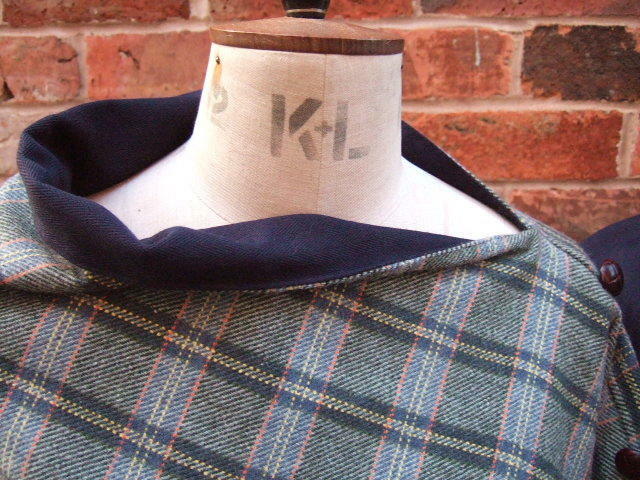 Navy Green and Yellow check with Blue Herringbone. Fully reversible. Double sided tweed throw wrap. 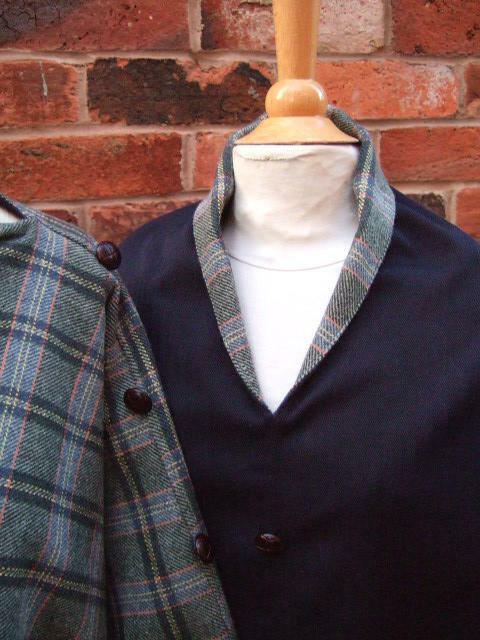 Manufactured from the fine British made tweed and suiting fabric. Individually hand cut fully reversible throw/wrap. Finished with large antique metal buttons along the seam detail. Tweed with cotton suiting makes the garment warm and shower proof!. With a number of options on how it can be worn.